Right at this very moment, there is a great big cake being created in the Brisbane, that will transform the capital into a new world city. The cake being created, is going to provide our state with a huge amount of jobs and the knock-on effect will see our Economy skyrocket and it is already underway! Leading the way is the $3bil Queens Wharf Project, that will create in excess of 11,000 jobs and include hotels, restaurants and a new Casino. 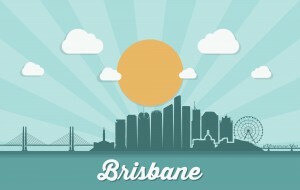 A huge lifestyle precinct – the biggest Brisbane will have seen. Next up is the transformation of the Brisbane Airport precinct, headed by the introduction of a second runway and finally the transformation of our Hospitals will round out the expansion of Brisbane. All these projects are around 3-4 years away and while there will be a spike in jobs in the construction phase alone, there will also be a large amount spent on infrastructure in the lead up. I see this as a giant cake being baked, the cake will attract a huge amount of people in search of employment, security and a new lifestyle. Like with every cake though, it is the icing that can be the best part. While many will come for the jobs, they will stay for the lifestyle and a number of new precincts will be transformed into Lifestyle precincts to enhance the liveability of Brisbane. Already Brisbane’s premier dining precinct along the Brisbane River, Eagle St Pier is set to benefit from a $1.4bil upgrade. It is also going to create close to 1,000 jobs in this precinct alone and will be a real focal point on the edge of the Brisbane CBD. There is already a strong alignment proposed from the developers to link this precinct to our local and overseas business community. Queenslanders love their sport and what better way to feed this thirst than a $100 million dollar upgrade at the GABBA. While the sporting stadium alone has made the news for it’s “outdated” facilities after losing the first test, it will be the external facilities that are really the highlight. The site will see increased public space and parklands, Government and commercial spaces, a linking to the proposed Cross River Rail network and station to stadium land bridge. Anyone can tell you the latter will be a much-needed improvement as there are always a handful of busy roads en route to the stadium itself. 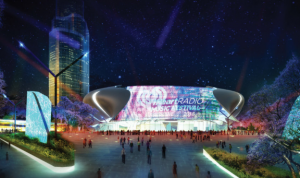 This project is being framed as Brisbane’s response to Madison Square Garden in New York City. A 17,000-seat world class arena for international superstars and sporting events. 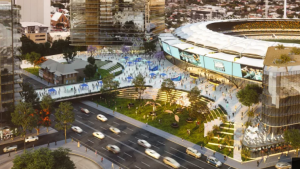 The $450mil arena will be built above Roma Street train station, making it accessible to everyone in Brisbane via the public transport network. There are some huge projects being constructed in Brisbane right now that are going to create thousands upon thousands of jobs and drive people north to the Sunshine State. While jobs and security will be the reason they come, it will be the lifestyle that they stay for. Sure, the weather is nice, but smaller projects like the Eagle St Pier Revamp, the GABBA upgrades and Brisbane Live is what will keep them here. You an also add other lifestyle precincts that are coming up out of the ground like King St, Howard Smith Wharves and many others in and around Brisbane. 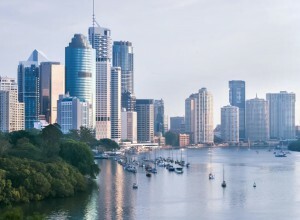 They will help transform Brisbane into a new world city and these projects will add to the convenience and liveability of a fast changing, exciting new City. This will all play out rapidly over the next 3-5 years and the best way to take advantage of this is to ensure you are putting your money where demand for property will soar! Exciting times ahead for the river city and property prices!